One of the highlights of the yearly Coverings show is hearing TCNA Executive Director Eric Astrachan review the state of the ceramic tile industry - from an economic perspective as well as from a creative and trend perspective in North America. 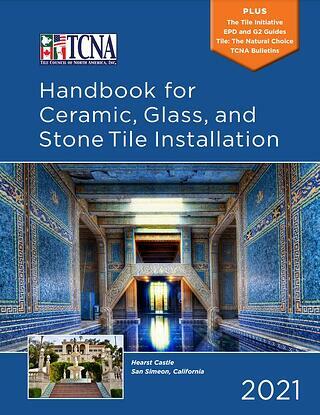 "A guide to assist in clarifying and standardizing installation specifications for tile. Each installation recommendation, or method, requires a properly designed, constructed, and prepared substructure using materials and construction techniques that meet nationally recognized material and construction standards. 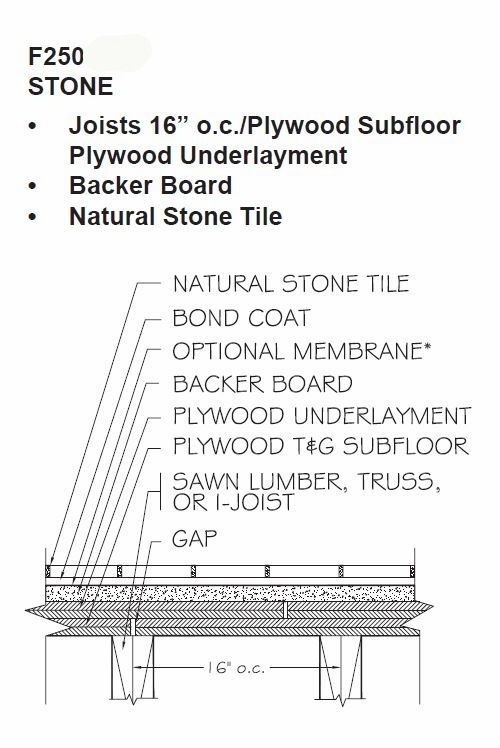 Included are: product selection guides for ceramic, glass, and stone tiles; guidelines for wet areas; ISO mortar and grout specifications; information on substrate flatness requirements; information on grout joint sizes and patterns, and workmanship standards excerpted from ANSI installation standards." For example, will the tile be installed inside or outside? In a wet area such as a shower or steam room? Or in a dry area such as an entry foyer? Each method includes a generic drawing that shows each component or material required as you can see in the image below. The Handbook is truly a living, breathing entity that evolves in lock-step with the tile industry. As new products get introduced - for example, new tile formats and new mortars and tools to support those formats - new installations methods quickly follow to ensure best practices. "... the new sections "Tile Layout Considerations" and "System Modularity" ... are geared more toward those involved in tile selection and design. As an example of the various revisions to Handbook existing language, (Astrachan) noted the further explanation this year of substrate flatness requirements, which (he) calls "essential but too-often ignored." ... A prime example is the new Handbook section to address the newer type of steel studs commonly referred to as "equivalent gauge" or "EQ" studs. The new Handbook language helps people understand the most important considerations for avoiding tile problems when these thinner studs are used. (Stephanie) Samulski (Handbook Committee Secretary and Technical Content Manager) noted that "the specific design criteria that are ultimately needed will likely get hashed out in ANSI". 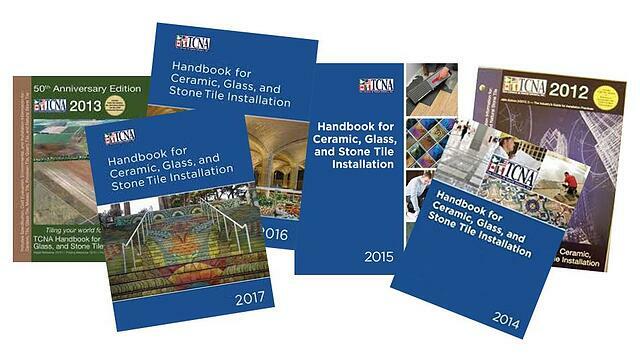 Other noteworthy changes that 2017 Handbook users will see include significantly more information on how to avoid the undesirable effects of wall-wash lighting on tile Installations, new "Visual Inspection of Tilework" and "Design Considerations When Specifying Tile" sections, significant changes to the EJ171 movement joint guidelines, and a new method for tiling an exterior deck or balcony over unoccupied space (tile and stone versions)." What Makes the Handbook Particularly Unique? The Handbook comes to life each year thanks to the Handbook Committee which includes representatives from the entire tile industry and all those touched by the tile industry - backer board, mortar, grout, membrane, tile and more manufacturers, industry associations, standards groups, construction specification groups and regional groups. It's a balanced assembly of stakeholder voters that comes together to prioritize and address topics of concern. "... the Handbook is a vehicle for providing industry consensus, but it's not a standard and therefore not set up like one, enabling the committee to provide information in non-mandatory language when needed. It's a particularly useful means of addressing conflicting recommendations or specifications, as can easily occur when a producer or another trade makes a major shift in product or practice in a way that impacts tile installations." Proposals for changes, often referred to as "submissions," are welcome from any individual or organization.